VIRTUALLY ELIMINATE ID LOSS WITH PROVEN AVID TECHNOLOGY. Copyright 2012: EZid | Livestock Ear Tags | All rights reserved. We offer a full line of visual ear tags and RFID systems for cattle, sheep, goats and swine. The visual tags feature a unique and specially designed flexible Daisy stud for superior retention. Retention not a problem, then choose the standard button. Tags are sold blank or can be custom printed with no minimums or set up charges. 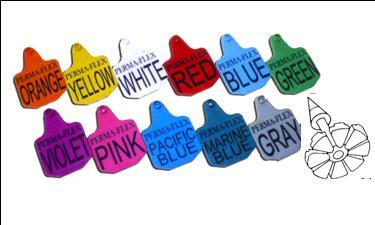 Tags are made from strong, durable polyurethane and come in 11 popular colors and sizes. Black is no longer available. Flexible Daisy stud snag-free, 100% replacement guarantee. Products made in the USA. 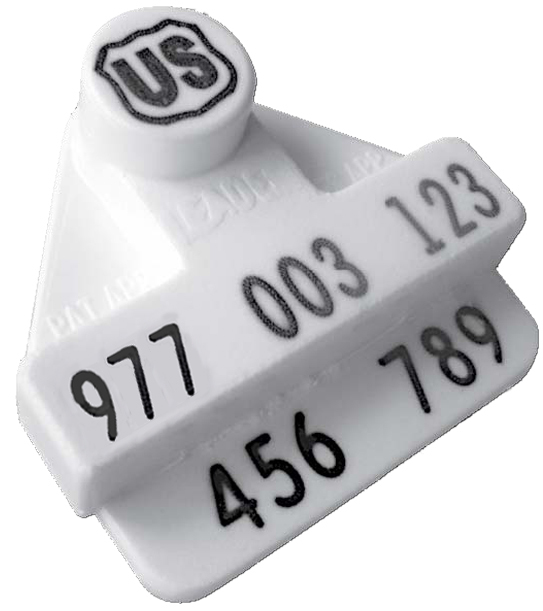 Looking for USDA Official cattle tags or standard EID (electronic identification) tags also known as RFID? Choose the EZid HDX Tag, the smarter tamper evident tag for Cattle. The unique tag design plus HDX advantage offers excellent read distance performance. HDX advantage for better read distance. Number in easier to see format. Improved neck design promotes healing. Tamper evident unique I.D. number. Can be read by all HDX ISO compliant readers. Proven success. Over fourteen million sold worldwide. 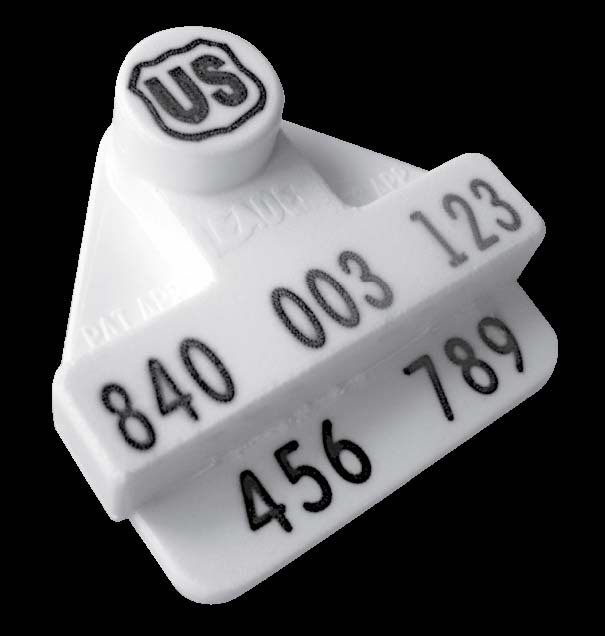 ​This RFID tag is available in official USDA 840 numbers or standard ISO numbers. Overall tag size is 1 1/4 inches by 1 1/4 inches. ​Hand held & industrial scanners/readers for livestock & fisheries. Dependable Avid hand held MiniTracker for fast, accurate read. ​​Permanent non-visible EID for cattle and sheep. ​A tiny chip with an ID number implanted for permanent ID. Official lightweight tag with excellent read performance. Tag retention issues? Flexible daisy button for better retention.